Kilo E liquidations come in 70/30 VG / PG ratio and 0 mg, 3 mg, 6 mg or 12 mg nicotine. Jagga is 15 millimeters larger, but more than 120 millimeter is available. 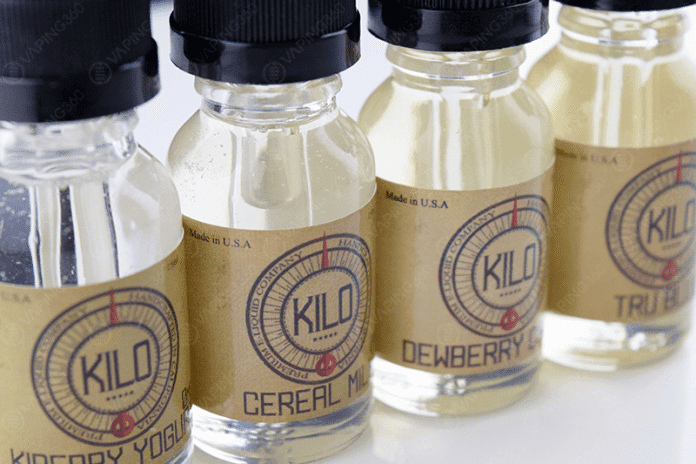 Kilo has only four flavors, but they are good for them. Their taste, kebari yogurt, dwarf cream, cereal milk and really blue. One thing that I did not find, much information about fixing and manufacturing them on the actual Kilo website, which I rather feel dissatisfied. I think a premium e-liquid manufacturer should be fully looked into their practice and material and all information should be easily accessible to find out on their websites.